As a parent you want your child to learn the habit of reading early in life. Most of the children begin to read when they turn to 6 years of age. 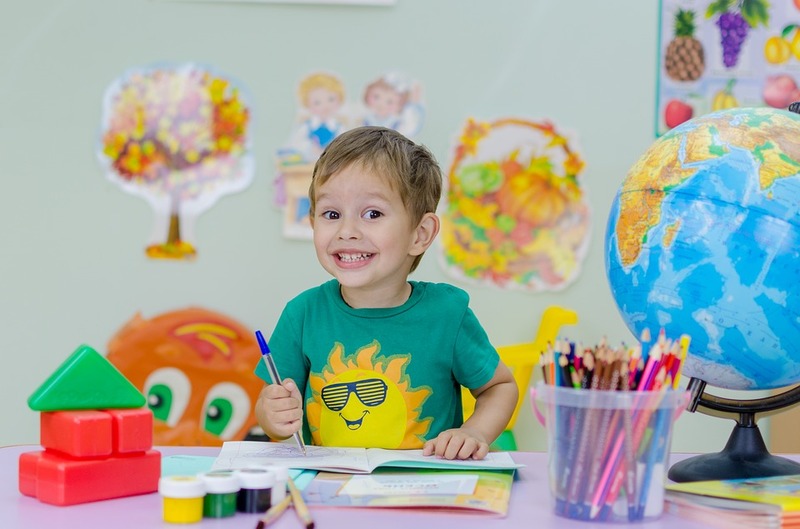 If you are exploring the ways of teaching children to read effectively in the formative years, given here are certain strategies which will help you for sure. But, remember that you need to implement these strategies only when your child is ready for it. Without exposure it is difficult to learn anything. To teach a child to read needs efforts towards the right direction. To make your children interested in reading, you need to bring colorful and interesting storybooks containing stories that they can be easily comprehended as a young kid. You need to give your time, sit beside them and read those books. This way, they will fall in love with them. Start with reading 3-4 small books a day. You need to exhibit some patience as initially your children may not show interest in the stories. So, be interactive with them. When you read aloud and show them pictures ask a few questions to them. This is a key to teach a child to read. Your children begin to comprehend well at the age of 3-4 years. So, do not forget to ask a few small questions about the story in between to see whether they are engrossed in it or not. If you are out on a mission of teaching your child to read, do not be afraid of their tearing or spoiling the books. Make books easily accessible to them. Keep the books in their play areas and within their reach. It is better to set up a reading space beside their bookshelf and their usual curriculum books also. Right from the beginning they should know that reading is important and interesting too. You should read aloud to them only in the beginning. Once they feel interested and engrossed in those books, they will try to read them by their own. This is the time when you need to hold their hand. Make sure that their book is meant for them only and contain the simplest words and sentence formation. Make them recognize and link the words to produce a resembling sound. This is how they will learn the phonics and begin to read. You need to correct them in between if they go wrong and have to work on the mistakes they are doing regularly. If the word is difficult for them, help them out to pronounce correctly, tell them its meaning and use similar words in the coming reading sessions with them. If you are trying to make your kids read quickly and correctly, you need to spare a little more time with them. Just reading sessions would not be enough. You have to work towards developing adequate phonemic awareness in them. Always remember if your children cannot associate the sounds with the letters or cannot do the letter pairing effectively, you will have to make them practice so that they can read the complete words carefully. Your children should know how to sound out the words. They should be aware of decoding the sounds of all the alphabets and the sounds when they are used together. Make them practice decoding and sounding out the word parts. Check out whether they are able to do so independently without your help. If yes, then they would be able to grasp and read the words in the books easily. Once you think your child is capable enough to read independently without your help, try to inculcate the habit of reading aloud in them. Focus only on the mechanical skills of reading; ignore the grammar part in the beginning. Just concentrate that the words they utter should sound correctly. Reading aloud should not be limited to the story books alone; all the reading stuff should be read aloud by them. It is better not to disturb them in between when they are reading out as it disturbs their train of thought and they would find it difficult to understand the text. Point out their mistakes when they are through with the reading. Teaching child to read is not a rocket science. If you want your kids to learn the habit of reading in the early years of their life, you need to follow certain tactics only. To teach a child to read is easy, if you have time, patience and you are ready to put on efforts in the right direction.